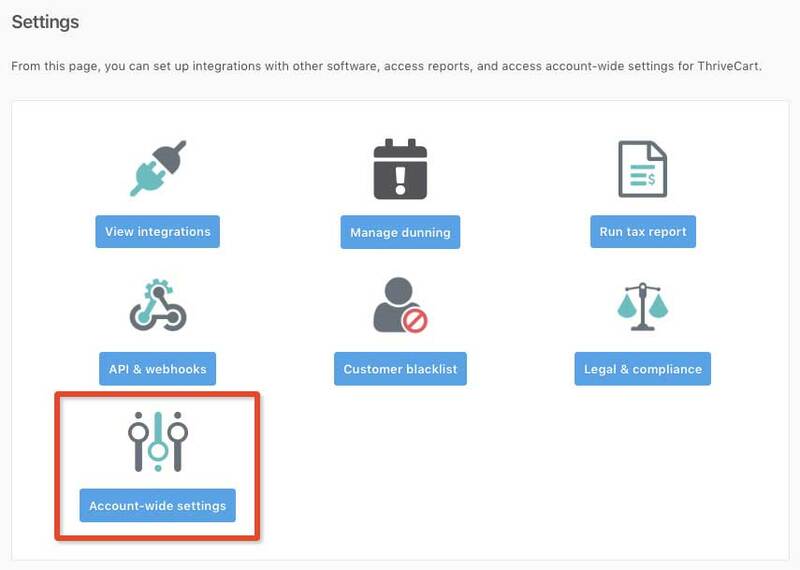 In this article, we’re going to quickly show you how you can set the starting number for invoices in your account. This number updates sequentially with each order in your account and you may wish to have this begin at a higher number (for example if you wish to show you have processed orders prior to your first customer). If you already have a ThriveCart account and have taken orders previously, then you can set this number to a number higher than the number of orders your account has already processed. First, you need to head to the Settings area in your ThriveCart dashboard. On the settings page select the Account-wide settings button. Next, you’ll want to select the Invoices option. You will then be able to change the starting number for your invoice. Please note that you cannot set this to a lower amount that is entered here. If you set this to a higher number, you will not be able to set it back to a lower number in the future. Once you’re happy with your starting number you can click the Save settings button to update your account. Future invoices will be issued starting at that new number.